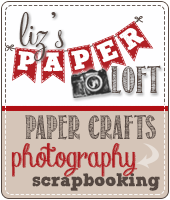 Liz's Paper Loft: MCT 12 Days of Christmas ~ Day 5! 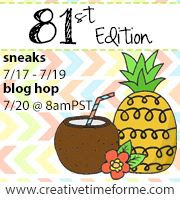 Welcome to My Creative Time's 12 Days of Christmas Blog Hop! Don't you just love what everyone has been making!!! We are showcasing projects that are quick and easy or some with more details. We are all SO BUSY these days, so hopefully you can pick up some ideas for this holiday season. 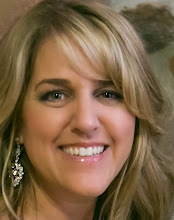 You should have arrived here from Linsey's Blog! If not please head over to Emma's for the start! You will want to make sure that you leave a comment for everyone so that you will eligible for the DAILY GIVEAWAYS! That's right DAILY!!! I cut small strips of paper and stamped "home sewn..." from Home Sewn set. Then masked off "merry" from All Around Christmas set, and stamped "Christmas"
Once everything is stamped, then add the glitter to the edges. O M G!!!!!!!!!! WHAT AN AWESOME WAY TO MIX THOSE 2 STAMP SETS TOGETHER~!!! & THOSE SPOOLS OF TWINE..... PURE GENIUS!! Love the spools of thread as decorations for your tree. This is just the cutest tree ever! Having seen the plain original box, I am in awe of your creativity!!! WOW-what a great box! Love the little spools! How GORGEOUS!!! LOVE the paper you used - and the sentiment is perfect!!! Hi You are so creative . This is so pretty...love the idea! Oh my goodness this tree box is so adorable. I love the little details and those little spools are darling for this. Very very cute. Love how you used the two stamps to make one sentiment on this cute little box!! love how you stamped sentiments on the garland! so cute... and those mini spools are adorable! I like the glitter on the edges of the sentiment. Your tree box is fabulous. Love how you used two stamp sets for your sentiment. This is so cute- I just love those little spools of thread! Very clever! 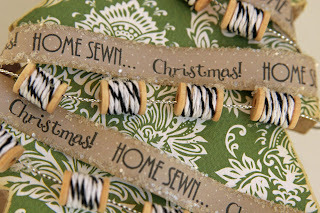 To cute for words...those tiny spools of twine are adorable!! Loving all the different ideas. 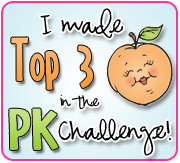 So pretty, you are an amazing designer! I love the colors in the paper for your project. Love this idea. Thanks for share with us. very cute project, love the paper! Sooooo cute! Love those adorable little spools! this is the cutest box! I love how you made it say exactly what you wanted it to say! thanks for sharing! How cute!! Where did you get that box? This is fabulous, Liz!! I love it! very cute, like the little spools of thread. Beautiful. You've inspired me to go on a hunt for paper mache tree box! HeHe. Never would have thought of using the stamp to create ribbon. That Christmas tree box is so cute. 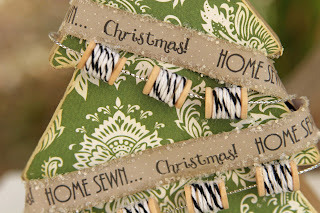 I love the little spools of thread, and the stamps on the "garland" are perfect for it. Oh my I adore this box!! Love the spool garland, so cute!! I also love how you did the sentiment!! So cute! Love that spool garland! I love this! It looks atiquish to me! Very nice! TFS! Liz, what a great idea!!!! Super cute tree box with all those little bobbins! Adorable idea!! Very cute love the spools. So cute! Love the spools. Thanks for sharing. 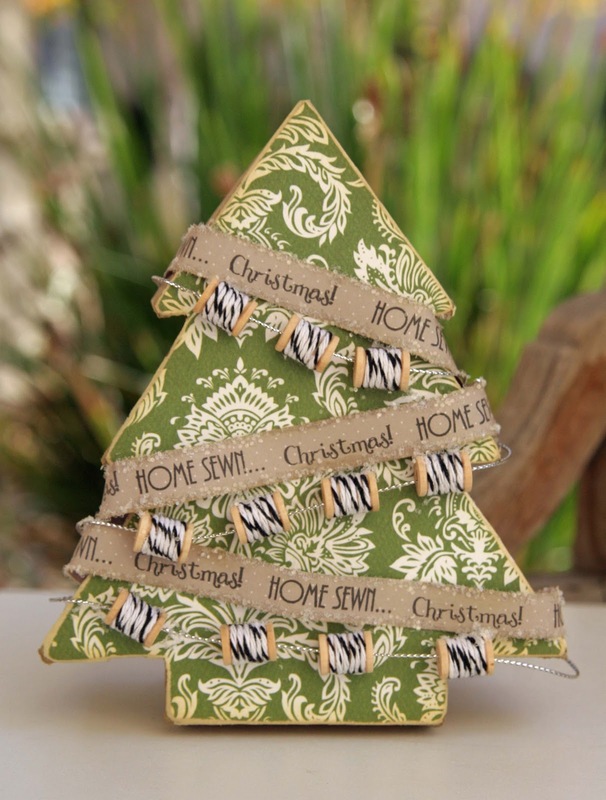 The spool garland is perfect for this cute tree box and sentiment. Great job! That is a cute idea thanks for sharing. Very cute and unique! TFS! What a cute box! I love the little spools on it:) Super cute, TFS! This is the cutest box ever! I love how mixed the stamp sets and made yet another pefect Christmas gift idea! You rock!! This is super adorable especially the little spools! Oh my, I have some of those little spools just sitting here waiting for a project. 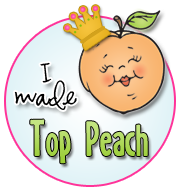 I'm so glad to see your fabulous creation using them. Your tree gift box is so cute and I love the spools idea!! CUTE CUTE CUTE, the tree is beautiful and those mini spools are so darn cute. Very pretty. It's amazing what you all come up with. I'm in awe. I love the tree box and the spools are so creative. Bravo! Love this tree! Amazing job! This is absolutely GORGEOUS!!! Love it!! Very beautiful! great with the garland. I love your tree candy holder. Thank you for sharing. Your gift box is out of this world stunning!! I just love the little spools of thread strung around it.. Thanks for the chance to win. so cute! you are really talented! Cute altered box. I always forget that you can mask some of these stamps. Thanks for reminding me. So pretty. I LOVE your mini spools. How cute an idea is that? I love those little twine spools on the tree box! WOW, that is so so cute! What a great altered item! I really like this! This is an adorable Christmas Tree Box! I love the spools of thread. this is a lovely gift box. i love it. beautiful papers. so creative!! I love the tree and the little spools lol too cute! I love this it is so cute. Wonderful job!!! 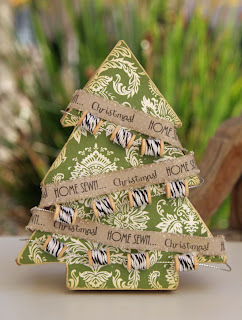 Your decorative tree box turn out awesome and I really love the spools of thread for garland! Great Job! Very very pretty, it looks very old world. What a nice tree todecorat with. Oh My Liz this is just to cute and I Love it. Love your tree box and the paper ribbon you made. That tree box is so pretty! I just absolutely LOVE this project! 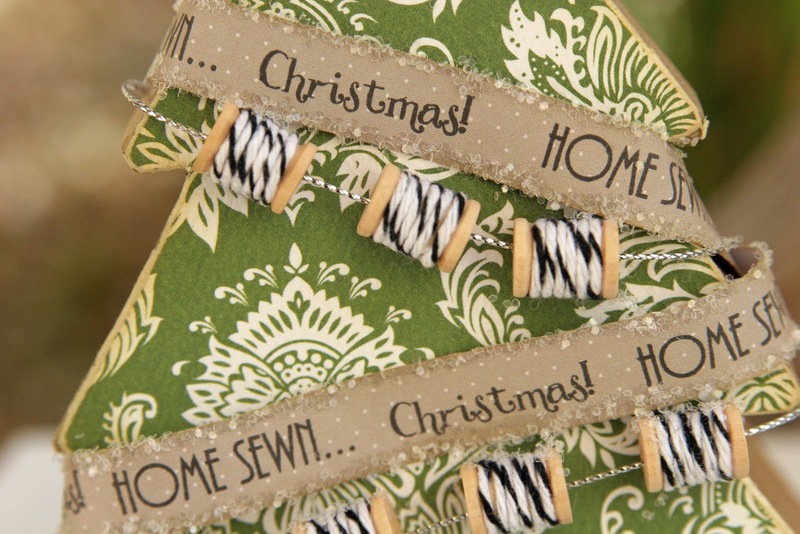 Love the little twine spools and the sentiments you used!! Really cute, the little spools add a nice touch. Thanks for sharing. 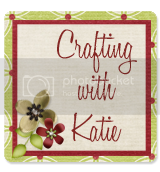 Very cute--I like your home sewn stamping and the cute spools. WHAT!!!! Look at those mini spools...did you see those mini spools??? LOL...I cant get over how stinkin cute those are!! !